Bruno Mars is a blight in the music industry. Those are big words, but they’re true. This isn’t to say he is talentless. He sings pretty well, his songs are always well produced, and his performances are on point. The problem with Bruno Mars is that he is a master appropriator. 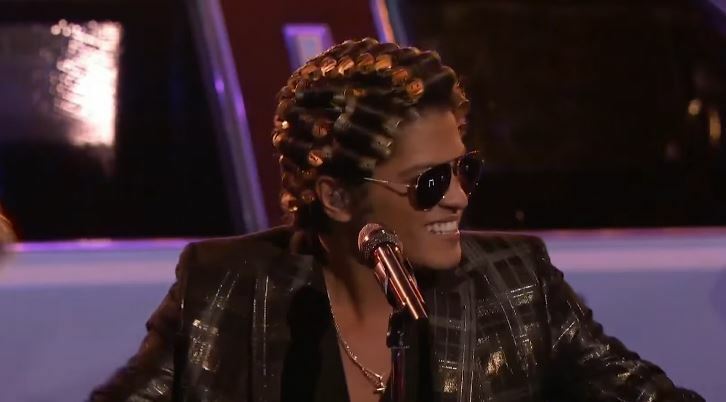 If you didn’t know, Bruno Mars is not black. He is actually Filipino, Puerto Rican, and Jewish, born and raised in Hawaii. Yet and still, he works solely to profit from the musical creations of black people. Robin Thicke was bad enough. But after the explosive success that was “Uptown Funk”, Mars capitalized on the added cache of appearing ethnically ambiguous, riding that straight to the bank. 24K Magic clocks in at just over 30 minutes long with 9 songs. For most artists, that would amount to little more than a mixtape or EP. And to any music fan actually willing to break bread on an album, that’s a hard pill to swallow. When you get into the actual content, the album is tantamount to an extended cat-call. Largely a throwback styled album, 24K Magic blatantly pulls from decades of black music. From the synthesizer and 2-step laden “24K Magic” to the New Jack Swing inspired “Finesse”, Mars does his best impersonations of prominent black artists ranging from James Brown to Bobby Brown. It’s like he’s doing his best to make a joke of himself. On “Too Good To Say Goodbye”, a song that could be straight out of The Jackson 5’s catalog, he scrapes the rafters of his range as he implores for the sake of his relationship in terms befitting of a pre-pubescent tween. And on “Calling All My Lovelies”, a call out to 90’s gangsta rap, Mars claims to have “All the Ishas waiting on me”. I don’t even know where to begin with a lyric that ridiculous and small-minded. They say imitation is the purest form of flattery, but appropriation is the most disrespectful form of theft. And 24K Magic shows just how much of an unabashed thief Bruno Mars is.